This post is written with inspiration from local Canberran and frugalista Serina Huang (aka Ms Frugal Ears) who has really got me more aware of how I spend my food shopping dollars. She has created a Facebook group called Frugal Dare to Millionaire, which encourages people to participate in Serina’s frugal challenges “aimed at helping all of us save money and become mega affluent!”. So far the energy challenge has been a real eye opener for me, as it made me really scrutinise how much power we consume and our true cost per day. Several group participants have already achieved very good savings from their energy providers, so hat’s off to you Serina for empowering us to make a difference! Her current challenge is all about saving money on groceries - The $50 grocery challenge – which aims to reduce one’s weekly food shopping costs to just $50. She recently posted about her go-to buys at both Aldi and Costco. As a household, we obtained our Costco membership months before the Canberra store opened. I remember the day we signed up, standing inside a very cold shipping container on the soon-to-be Costco site, on a winter’s day and getting our photos taken and our membership cards printed. A few weeks later we were down in Melbourne for a weekend getaway, and guess what… we shopped at the Docklands Costco because we could! OMG is all we could say as it was our first experience of a Costco store. It was UUUUGGGEEE. The carts were UUUUGGGEEERRRR. We couldn’t wait for the Canberra store to open, and its been a regular haunt of ours for a couple of years now. Aldi on the other hand has been a staple supermarket for us for years. My stepson even worked at Aldi for a number of years while studying at uni. They are a great employer. We are very lucky to have a store just down the road at our local shops. Many a Saturday morning has been spent in line outside the store awaiting the doors to open to get a special buy. It’s great to talk to the fellow shoppers when at the door, everyone chatting politely asking “so what are you buying today”? Its all very civilised and very orderly once the doors open. I’ve heard other stores have frenzies when they open the doors, as much sought after items are in short supply and there’s not enough of the desired special buy to go around. I last lined up for Lock & Lock plastic container sets (I know, plasticware!!) but they are my go-to brand and the price was incredible. Water – cases of Nu brand lightly sparkling water are a staple in our house. Beef mince – usually around $7.00/kg but the downside is they are packed in 2.5kg-3.0kg packs. Great to portion out and freeze off. For freezing, you will need plenty of…. Glad Wrap – while the catering size pack of 300 metres may not fit neatly in a drawer it does sit nicely on a pantry shelf. Glad Bake – baking paper in a huge 120 metre roll that lines everything from baking tins to oven trays. Philadelphia cream cheese tubs – yes, you do have to buy a 3 x pack, but the use-by date is always good. Especially good for putting on…..
Bagels – true, you have to buy two packs (each containing 6 bagels) but you can mix up the flavours (plain, sesame, blueberry, cinnamon) and they freeze exceedingly well. Cheese – grated mozzarella cheese, which comes in a 2 x 1kg pack, is always on hand to meet cheese emergencies. Mixed leaf lettuce – while we have only bought this the once (for a massive BBQ party) it was exceptional value for a huge tub. After feeding nearly 40 people we still had leftover lettuce which we donated to the RSPCA to feed to the bunnies. The leaves are packed down very well, so they fit a LOT in the container. White Vinegar – a measly $2.79 for a massive 5 litre container, used for mainly cleaning as I really don’t like the smell in cooking. Tinned vegetables – tinned chopped tomatoes, Heinz baked beans, chick peas and corn kernels can be purchased in packs of 12 x 400g tins and the savings are amazing compared to buying just a can on its own here and there from the other supermarkets. Heinz ketchup – the ONLY tomato sauce in our house. Comes in a two pack, so we always have a spare in the cupboard. Cream – 1 litre of thickened cream is under $4.00 and a little goes a long way when whipped up. Think strawberries and cream, or Devonshire teas. Boston Bun – sometimes as low as $6.00, this is a large-scale deliciously soft pull-apart fruit studded yeasted bread, with a soft marshmallowy icing covered in coconut. What’s not to love? Great to buy for a work morning tea, as it’s a danger to the waistline to leave lying around the house. Christmas wrapping paper – we are still using the massive roll we purchased when Costco opened in Canberra. The paper is super thick, easily covering details of the item being wrapped AND it’s double sided with a non-Christmas pattern so it performs double duty throughout the year. Electronics – we’ve purchased a few electronic items at very good prices and like anything purchased at Costco, comes with a lifetime warranty. We have exchanged a faulty laptop for a brand new one, with no hassles, no issues, and very good customer service. Petrol – we couldn’t wait until the Gasoline station opened at the Canberra Store, as we save nearly $0.20/litre which doesn’t sound like much, but with two turbo powered cars both running 98 octane petrol, that’s around a $20 saving for each combined fill up. Hot Dog + drink – for the cheap price of $1.99 gets you a hot dog and a refillable drink from the Café. Hubby’s go-to lunch if we shop on a weekend. Muesli – they have three flavours from the one brand, and we often buy all three and combine them. Meat – Aldi has a very good range of pork, bacon, beef and chicken cuts and the pricing is very good. The pork remains especially juicy when cooked. Frequent specials often mean large packets, but meat freezes well. Chocolate – while a ‘sometimes’ buy, the dark chocolate and marzipan is very good and comes in a handy pack of 5 x small packets which is good for portion control! Their larger blocks are also very good, in particular the coffee/chocolate is very creamy, which my colleagues can attest to. Coconut milk – a huge 400ml can is less than $1.00, and is a must when cooking curries, coconut rice, making smoothies or used in baking for cakes and muffins. 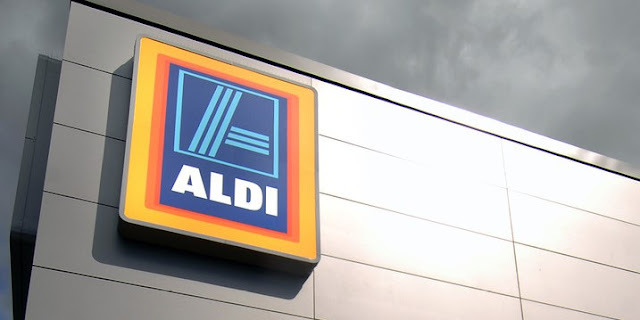 Aldi ‘special buys’ – while these are an eclectic bunch of specials that change every Wednesday and Saturday, there has been some stand out buys that have stocked our kitchen, garage and shed. Stand out buys include; Lock & Lock plastic food containers, pump action spray containers (used for weed spraying), and a high pressure water cleaner used for pressure washing the driveway, and cleaning the car. Don’t worry, we run off our 90,000 (!) litre water tank, so water usage for us is free as its rainwater. Don’t get me wrong, we do also shop at Woolworths and Coles, as well as the Fyshwick Markets and farmer’s markets too. I regularly keep an eye on my local butcher, M & K Meats, who has some incredible buys (like today’s $6.99/kg chicken breasts!). There could soon be a new player on the Australian supermarket scene with the arrival of LIDL. They are a German discount supermarket with over 10,000 stores across Europe. Is Australia ready for yet another no-frills, discount supermarket? So reader, where do you shop? And what are your go-to items?